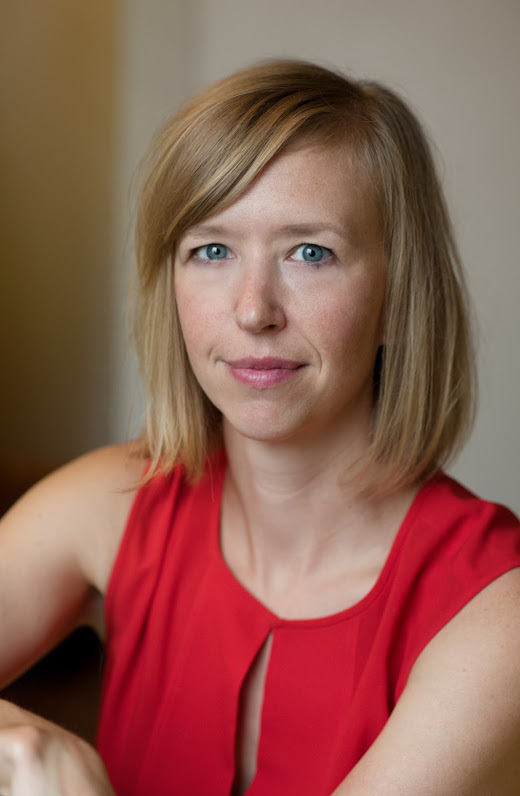 Originally from Appalachian Virginia, Mandy Len Catron now lives in Vancouver, British Columbia, and teaches English and creative writing at the University of British Columbia. Stay Thirsty Magazine was pleased to visit with Mandy Len Catron at her home for this Conversation about Love. STAY THIRSTY: You dedicated your book, how to fall in love with anyone, to your parents. Why? MANDY LEN CATRON: My parents had a great marriage, if also an imperfect marriage. I learned so much from them about what it means to be on the same team, to look out for each other, to be generous. I feel so grateful to them for these things. I still don't know all the reasons they divorced, but I trust their decision. And I don't think of their marriage as a failure because it ended. For most of their marriage, they loved each other well. And they have loved me well all my life. STAY THIRSTY: Does romantic love inoculate people from heartache? MANDY LEN CATRON: Definitely not. If anything romantic love makes us more vulnerable—any kind of love is really a risk. I look at my dog sometimes and think about the fact that I will outlive him. It’s so uncomfortable to acknowledge this. And yet I chose to live with this discomfort the day I adopted him. Romantic love is the same. There is so much at stake. So much to lose. STAY THIRSTY: Do people want a guarantee that love will last before they take the leap to reveal themselves to the other person? MANDY LEN CATRON: I think most of us would probably prefer love came with a guarantee. Certainly I have wanted one many times. For much of my life, I naïvely thought marriage offered a sort of guarantee. It’s not that I didn’t know marriages could end, but still I thought there was a way to do it right, a way to avoid the risk. But of course there are no guarantees. And for love to really work—for the kind of intimacy most of us want—we have to reveal ourselves anyway. We have to make the choice without the guarantee. That’s the deal. STAY THIRSTY: Can people really decide to fall in love or is it just chemistry? MANDY LEN CATRON: Love is a biological experience. The chemicals in our bodies and brains do matter. But I it’s also a social experience—it’s shaped by the culture we live in. We like to imagine that our ideas about what’s attractive, the kind of person we want to be with—our desires—are fixed, that they are hardwired into us. But lots of research suggests this isn’t the case. Our desires respond to the culture. This is why dating apps reflect our prejudices, and why the ideal body type shifts over time. So what we call “chemistry” isn’t pure biology. 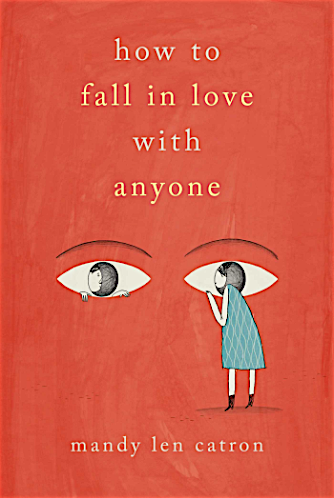 I don’t think you can simply will yourself to fall in love with any random stranger. But I think we all can open ourselves to love’s possibilities, we can widen our ideas about what love might look like. And I think we’d benefit from doing so. STAY THIRSTY: If you find yourself in love with someone, how do you know it will last when things get difficult? When do you know it is time to cut and run? MANDY LEN CATRON: I think the reality is that you don’t know it will last when things get difficult. The best you can do, perhaps, is find someone who will cheer for you when things go well. There’s research that suggests finding a partner who celebrates your successes actually matters more to relationship satisfaction than finding someone who can support you through difficult times—a study I think about often and try to apply to all my close relationships. When it’s time to cut and run is a good question. And not an easy one to answer. The best answer I’ve come up with is to ask yourself if you can be consistently kind to your partner—and if they are kind to you. If the answer to either one of these questions is no, you might spend some time thinking about what the relationship really offers each of you. STAY THIRSTY: How do you live with the doubt that inevitably creeps into a relationship, both your own and that of your partner? MANDY LEN CATRON: I wish I knew the answer to your question. I’ve struggled with this a lot. So many of the people I know have. Maybe what we need is more stories about doubt, more conversations that normalize it and reckon with it as a predictable part of love. Our narratives of love tell us that you’re supposed to feel one way about one person forever—that this is the ideal (and achievable) version of love. But the truth is that our feelings about our relationships and our partners aren’t fixed, as much as we might want them to be. I’d love to make more space for that kind of change. STAY THIRSTY: Is the process of falling in love the same as staying in love? MANDY LEN CATRON: Some researchers have suggested that what we call falling in love is an intense neurochemical experience similar to doing cocaine or winning at the blackjack table. In other words love highjacks the reward system in our brains. My own personal experiences with falling in love have been that it’s intensely pleasurable and also kind of terrifying. 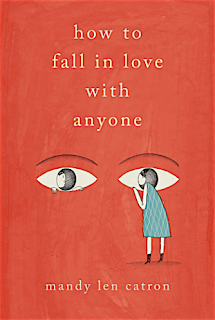 We have a cultural fascination with falling in love. We write songs and make movies about it. But we don’t have much conversation at all about staying in love. The ideal form of romantic love in America right now is long term, monogamous, marriage-minded commitment. And yet we don’t have many stories about what it means to stay committed, about how it might work and what it might cost us and whether this kind of relationship really makes sense for everyone. STAY THIRSTY: What gave you the confidence to reveal yourself and your relationship to the whole world and to write about your love so honestly? How has going public changed your life and your relationship? MANDY LEN CATRON: I think I best understand ideological questions by bringing them to bear on personal experiences. If I want to understand the role of love and love stories in our lives, I need to begin with their role in my life. In doing this, I’m not assuming that everyone’s life is like mine, but I’m taking this abstract question and applying it in the most honest and accessible way I can—through the filter of my own life. And it turns out that dissecting my own anxieties helps mitigate their power. I don’t want to position myself as an expert on love, but instead as someone who is curious, who is willing to think really deeply about it, and who is pretty good at research. At times this requires making myself vulnerable, but I try to be really thoughtful about how I do this; it’s always in service of a larger question.